The talented senior has won the last three state crowns (indoor and outdoor) in the high jump and is favored to make it four in a row at the All State Meet in early June. Dainton leaped a personal best of 5 feet, 9 inches at the Indoor States on Feb. 24 and was second at the New England's with a 5-7 effort. Dainton will have plenty of competition to contend with this season. 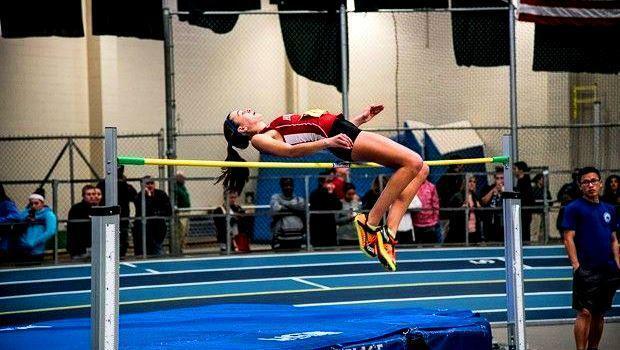 At the recent state meet, three other athletes cleared 5-6 - Belmont's Anoush Krafian, Wellesley's Anna Jordahl-Henry and Wachusett's Sara James.